Why should you use the ROTOR 2INpower powermeter? Dimension Data’s pros explain their experiences. Serge Pauwels and Louis Meintjes explain their experiences using ROTOR components. Also, Nick Dougall tells you how he helped to develop the 2INPower powermeter. Serge Pauwels is a veteran of Dimension Data and one of the most highly awarded cyclists in the team. He explains 2018 is his fourth year using ROTOR components and they have been the best years of his career. Serge trusts in the 2INpower powermeter every day in both training and competition and he says that is one of the most reliable powermeters on the market. Power measurement in both training and races are always based on watts and as a result the 2INpower is an indispensable ally. The South African rider Louis Meintjes is one of the most promising young cyclists from the african continent. Involved in the development of the Q RINGS oval chainrings, he is a strong advocate and it formed an important part is his career evolution: “When you are really working hard, you want to know that you’ve taken every possible step to gain an advantage”. He’s been using the 2INpower powermeter with Q RINGS for the last 3 years and thanks to its reliability, it has become a vital training companion. Nick Dougall, another of the South African riders in the Dimension Data line-up has been with the team since it’s foundation and is also a lover of the ROTOR brand. Putting ROTOR products to the test at the very highest level opens the feedback loop to allow the development great components to continually innovate and improve. ROTOR’s inspiration is always to invent a product that improves the cyclists experience and compete for podiums at the highest level. rotorbike.com | Why should you use the ROTOR 2INpower powermeter? 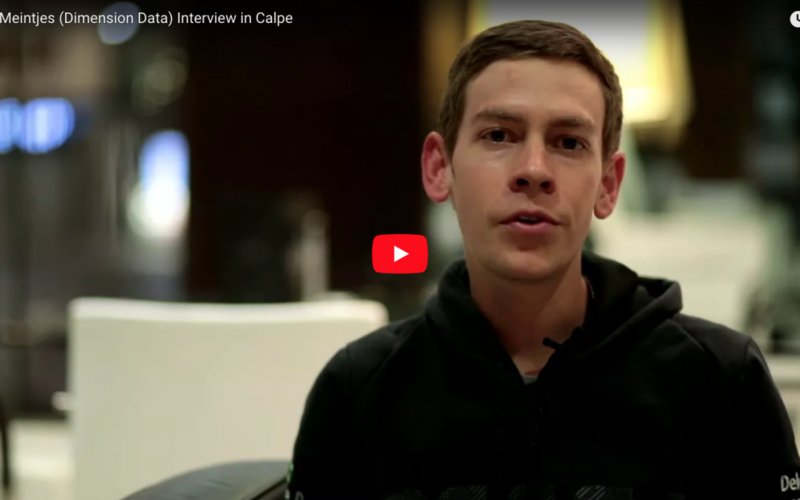 Dimension Data’s pros explain their experiences.